I started the year out with The Jane Austen Book Club by Karen Joy Fowler. As much as I am a fan of the movie, the book was a little different and difficult to get into the story. I wasn't connecting with any of the characters and the formatting was too strange for my taste. However, I moved onto Reign the Earth by A.C. Gaughen. Going in, I wasn't sure what to expect but it's my first five star read of the year! To be frank, I thought yesterday was still January, when I made these graphics. So I had plans to finish off Allegiant by Veronica Roth but unfortunately, I am still currently reading it. 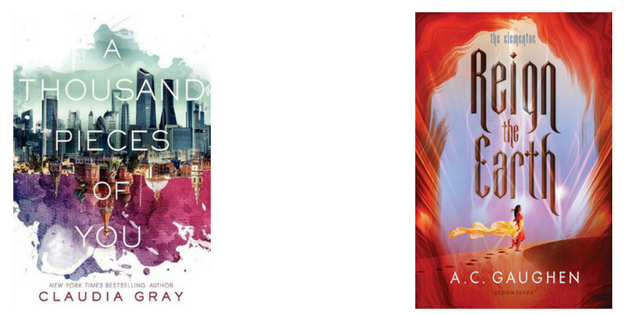 In the new year, I hoped to get more adult fiction books read since most of the books I devour are YA. The Readers of Broken Wheel Recommend by Katarina Bivald fit that bill. I absolutely love books that feature other readers and Broken Wheel is a wonderful example of that. 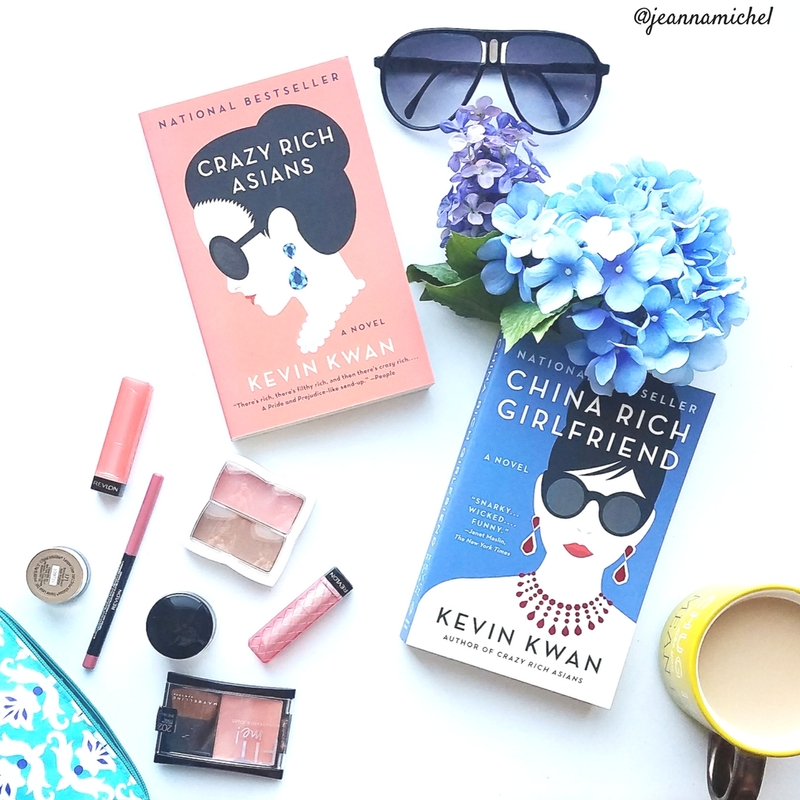 It's been way too long since I've read a retelling so I devoured Geekerella and it is my second five star read of the year. It was light and as cute as expected. Loved it! Another goal of mine in the new year is to finish some series so I'm working my way through finishing Rick Riordan's Percy Jackson and the Olympians with The Titan's Curse. Reign the Earth by A. C. Gaughen: This book may have taken me forever. But that was only because I didn't want it to end! It was absolutely fantastic; Reign the Earth is a much-needed fantasy with complex characters and wonderful world building. A Thousand Pieces of You by Claudia Gray (5 stars): A Thousand Pieces of You is a book so powerful, it will pull readers out of slumps, out of their own worlds, and it will tear them to pieces (you know, in a good way). 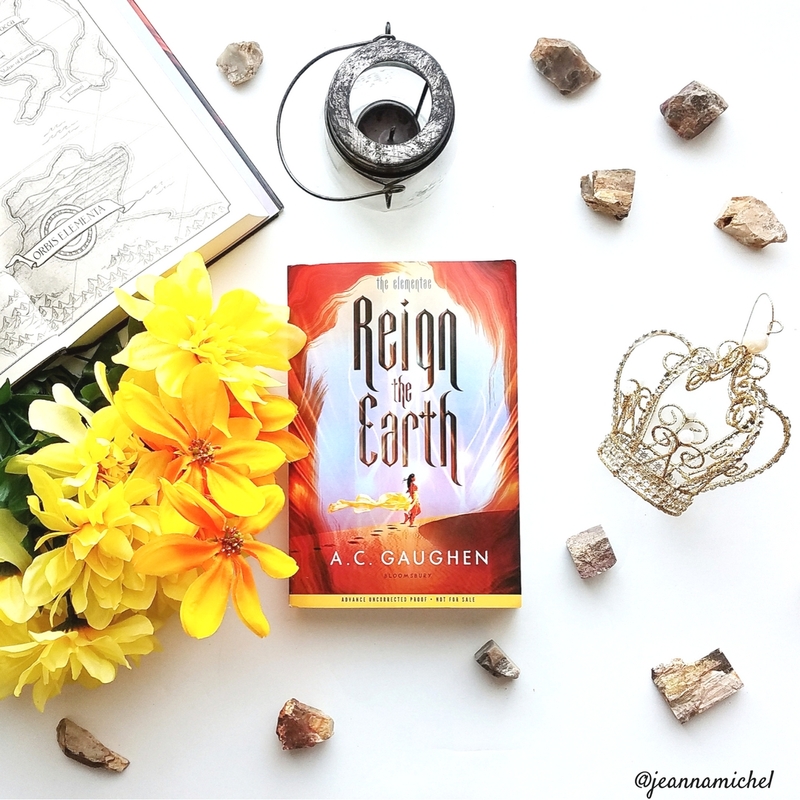 Reign the Earth by A.C. Gaughen (5 stars): This is most definitely turning into the Reign the Earth appreciation post. 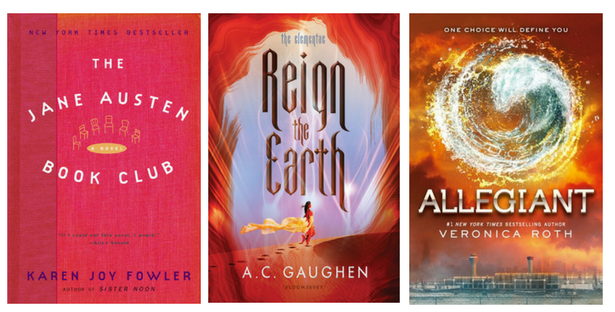 Reign the Earth by A.C Gaughen is a fantastic fantasy that keeps readers on the edge of their seat. A Court of Frost and Starlight by Sarah J. Maas (5/1/18): We finally have a cover. And it's very pretty! I can't wait to have the book in my hands. The Cruel Prince by Holly Black (1/2/18): This one is getting some buzz lately in its release. Another book about fae but this one sounds a bit dark and I am definitely intrigued. Gone Rogue by Marissa Meyer (1/30/18): I loved returning to the Lunar Chronicles world to say hello to all my favorite characters in the last volume so I cannot wait to get a copy of this one to jump right back into the story. The Prince and the Dressmaker by Jen Wang (2/13/18): The premise got me on this one. And it's a graphic novel so win, win. 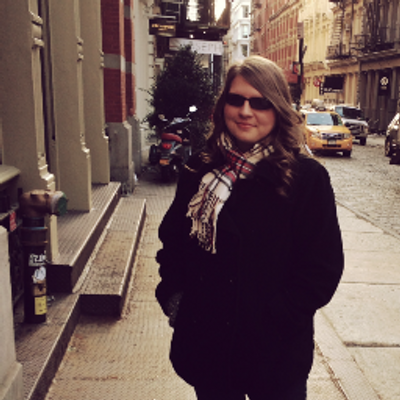 Heart of Iron by Ashley Poston (2/27/18): Yes, I know this reeks of science fiction. But it's Ashley Poston and I loved Geekerella. And it's a retelling of Anastasia. In space. Even I think that sounds awesome! Surprise! I watched tons of movies in January. I have no clue why but all the movies I wanted to see came out (not necessarily in the month of January) and I needed to see them. I started with The Mountain Between Us which I wanted to see in theaters when it came out a few months ago but could find no one interested enough to see it with me. For the most part, I enjoyed it but felt that the movie lost its direction when they added the romance. I saw The Greatest Showman in theaters and it was fantastic. I want to go again, just to relive some of the songs! Then I went to see The Commuter which seems to be just another one of Liam Neeson's formualic action plots. They're enjoyable but usually familiar. Oh, and then I saw The Shape of Water which all my friends told me to steer clear because "it was so strange." However, I really liked it, thinking it unique and wonderfully cinematic. The last two movies I borrowed from the library: The Snowman and Dunkirk. I may have had too high of expectations for The Snowman and was a bit disappointed. I haven't read the book but the film adaptation seems to be missing some points that I'm sure are explained further in the book. And Dunkirk was absolutely magnificent and deserves to be watched multiple times. Overall, I deem it a great movie month! How was your January? Read any awesome books? What movies did you see? Ah, I want to see The Greatest Showman! It looks so good! Glad you had a great start to your reading year!